During a recent seminar for college teachers, I played unofficial tour guide to several of my colleagues from other parts of the United States. 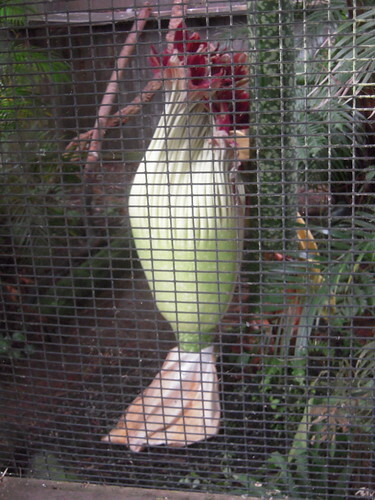 One of the women in the group had been watching for the so-called “corpse flower” to bloom. 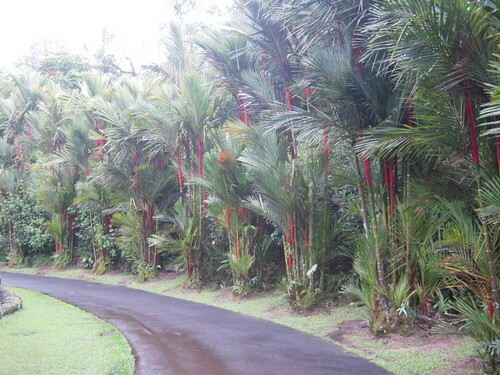 We were told that the flower was to bloom at the Pana`ewa Zoo and Gardens. 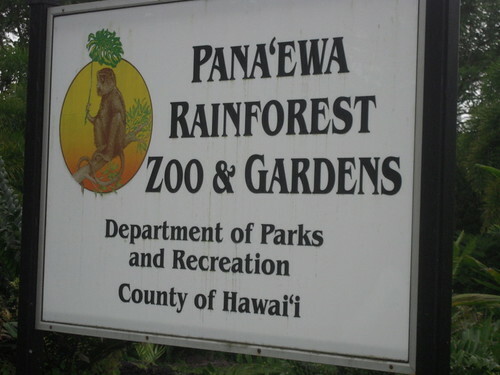 The seminar we were attending was held at our Volcano National Park, so we were not far from the zoo’s location just outside the town of Hilo. Even after all the years I’ve lived here, I had never been to the zoo. After all, I had lived in San Diego for many years, and had grown up near St. Louis, both cities having zoos that are rather spectacular! I had envisioned this local zoo as a small and rather insignificant display. I was wrong! I was amazed at the variety of rainforest flora and fauna they have gathered. Not only do I plan to return for a more leisurely visit, but I will recommend it highly to future visitors to our beautiful island. We found the display of the “corpse flower,” but we were one day late to see it in full bloom, as it’s a very short-lived blossom. However, we were able to see it before it completely went away, and get a whiff of its decaying flesh aroma. Follow this link to view a slide show of the rainforest.